The vast majority of vibrations encountered in the real environment are random in nature. 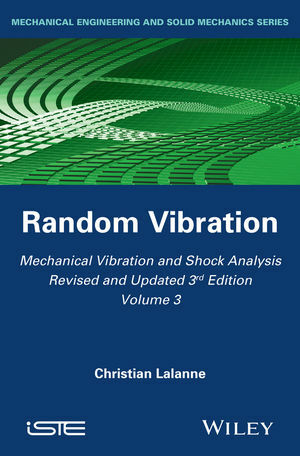 Such vibrations are intrinsically complicated and this volume describes the process that enables us to simplify the required analysis, along with the analysis of the signal in the frequency domain. The power spectrum density is also defined, together with the requisite precautions to be taken in its calculations as well as the processes (windowing, overlapping) necessary to obtain improved results. An additional complementary method – the analysis of statistical properties of the time signal – is also described. This enables the distribution law of the maxima of a random Gaussian signal to be determined and simplifies the calculation of fatigue damage by avoiding direct peak counting.